Questions Mount About 'Sonic Attacks' On U.S. Embassy In Havana : Shots - Health News Nearly two years after the U.S. said diplomats in Cuba had been injured in a series of "health attacks," many scientists say there's still no proof anyone was injured. Scientists are questioning the evidence about an alleged attack on diplomats at the U.S. Embassy in Havana. More than 20 U.S. diplomats in Cuba had "suffered significant injuries" in a series of attacks that seemed to target the brain. Or at least that's what State Department officials told reporters during a briefing in September 2017. A couple of weeks later, President Trump went even further. "I do believe Cuba is responsible," he said during a Rose Garden news conference. By that time, the U.S. had pulled most staff members from its embassy in Havana and had advised U.S. citizens to avoid traveling to Cuba. There had also been reports of similar symptoms among U.S. diplomats in China. 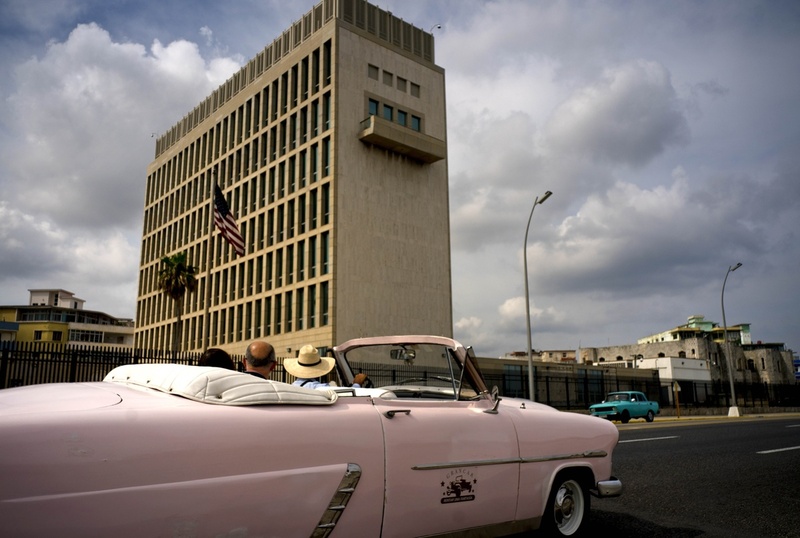 Nearly two years later, the State Department maintains that attacks did occur and that people associated with the embassy in Havana were injured. But a number of prominent scientists are now challenging that assertion. There is "no evidence" of an attack, says Dr. Sergio Della Sala, a professor of human cognitive neuroscience at the University of Edinburgh in the U.K. "There is no data whatsoever that these people are suffering from any brain injury." Other scientists say the case for what they now often call "Havana syndrome" involves a troubling mix of secrecy, conjecture and shoddy science. Many now doubt it ever happened. Hoffer recalls that in February 2017, he was at his desk when the phone rang. "And the individual, who I cannot name, unfortunately, said, 'This is the State Department, and we have a problem.' "
The individual wanted Hoffer to assess some ailing diplomats who had been flown to Miami. Later, the State Department asked him to check out embassy workers still in Havana. "So a colleague of mine and I went down to Cuba and basically set up a little screening clinic in the embassy there," Hoffer says. Their symptoms were a lot like those from concussions. But Hoffer's experience as a military doctor told him the problem involved the vestibular system, a part of the inner ear that plays a critical role in balance. And tests supported that idea, he says. "I'm confident that their vestibular systems were damaged by something," he says. "What it was, who was doing it — I don't know." The idea of a "sonic attack" was appealing because it appeared to explain the odd sound reported by embassy workers who later had symptoms. But then in October 2017, The Associated Press released a recording of the sound. And that's when the scientific support for an attack began to crumble. A pair of experts on insect sounds decided to analyze the audio. And they soon realized that the sound was no weapon. "The recording released by the AP is, in fact, a cricket," says Alexander Stubbs, a doctoral student at the University of California, Berkeley. To be precise, he says, it's the mating call of a male Indies short-tailed cricket. And it's no wonder that diplomats found the calls from these crickets disturbingly loud, Stubbs says. "If you're driving a diesel truck on the freeway, you can hear these crickets with all the windows closed as you pass one." Of course that didn't explain all the symptoms that diplomats were reporting. So scientists waited for two medical studies that they hoped would make sense of the dizziness, the hearing loss and the foggy thinking. "We are collectively convinced that these individuals as a group sustained a neurological injury," the lead author, Dr. Randel Swanson, said in an audio report released with the study. The injury was like a concussion, but with no blow to the head, the team said. "It's surprising that a fantastic, great journal like JAMA publishes such a poor report," says Della Sala, the University of Edinburgh professor. "It's just astounding. It's unbelievable." And four other scientists who published letters in JAMA offered their own pointed adjectives to describe the study. Among them: "improper," "inappropriate," "problematic" and "misleading." "What they did was to find a way so that everybody's pathological," he says. 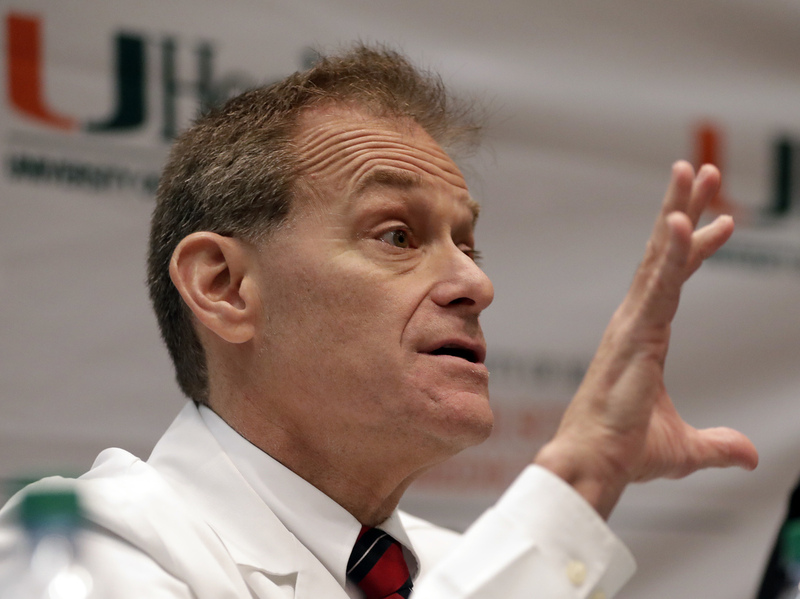 The second medical study came from the University of Miami's Hoffer and his colleagues. They described 25 embassy workers who had reported both exposure to a noise and symptoms. This study was rejected by JAMA but was eventually published in Laryngoscope Investigative Otolaryngology. It's a lesser-known journal for which Hoffer serves as an editor. "I'm confident that their vestibular systems were damaged by something," says Dr. Michael Hoffer, of the University of Miami. "What it was, who was doing it — I don't know." One of the paper's key findings involved special goggles that track eye movements, Hoffer says. "So the eye movements, which we could read right away from the goggles, were looking like patterns that we see in people that have a particular balance disorder," he says. The balance disorder — an "otolithic abnormality" — is caused by invisible damage to the inner ear. But critics have noted that lots of factors can cause a healthy person to fail this test. "This task is failed by anybody with anxiety, anyone with concern, anyone who's very tired," Della Sala says. "At the moment, there is no data whatsoever that these people are suffering from any brain injury," Della Sala says. "There is no evidence." More criticism came in February during a scientific panel held in conjunction with the American Association for the Advancement of Science's annual meeting. The event took place at the Cuban Embassy in Washington, D.C.
Several scientists on the panel said they are frustrated that the medical studies have so far omitted critical information. "Our concern is that none of the data was shared. We don't have access to the raw data," says Dr. Janina Galler, a professor of psychiatry at Harvard Medical School. "We don't have access even to the full sample size and how individuals were selected and why so many were not included in the study at the end of the day." "There's a whole story that there's a group of diplomats, they were attacked with a weapon and they have brain injury," says Dr. Mitchell Valdés-Sosa, who directs the Cuban Neurosciences Center in Havana. "There's no evidence for brain injury. There is no evidence of an attack. You see vague symptoms that are very prevalent, that are common to any cross section of the population."